Client Insight - Advisen Ltd.Client Insight - Advisen Ltd. CLIENT INSIGHT provides brokers with insight into insurance pricing, losses, and exposure data on existing, new, and prospective clients. Differentiate yourself and become your client’s most knowledgeable trusted advisor. PRO VS. EXPERT: WHICH IS RIGHT FOR YOU? Client Insight Professional provides business exposure information, limit, retention and pricing benchmarking, news as well as large loss anecdotes for the insured and their peer-group. 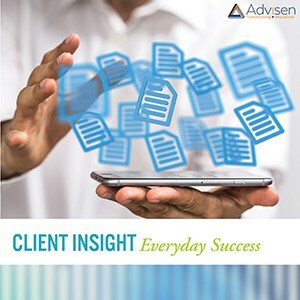 Client Insight Professional is delivered via Advisen’s online platform and on-demand reports. 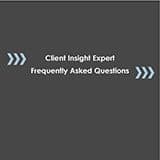 Client Insight Expert features powerful tools to help brokers evaluate appropriate limits and gain insights into optimal market selection and carrier appetite. Available as a paid upgrade to Client Insight Professional. Loss Benchmarking provides brokers with industry and peer group comparative loss experiences for enhanced limit adequacy, retention suitability and rate validation capabilities to ensure they provide best in class advisory services. Placement Analytics provides brokers with advanced insight into optimal market selection and carrier appetite, leveraging a highly diversified and independent set of policy data for a more comprehensive analysis. Client Insight Expert is available as a paid upgrade to Client Insight Professional. As part of a Client Insight subscription, every Monday you will receive a free weekly newsletter called Know Your Limits. The newsletter is filled with examples of everyday insurable commercial losses across a wide range of industries and LOBs. Ability to communicate the importance of good insurance limits to prospective clients. Help you and your current clients make more informed insurance buying decisions.